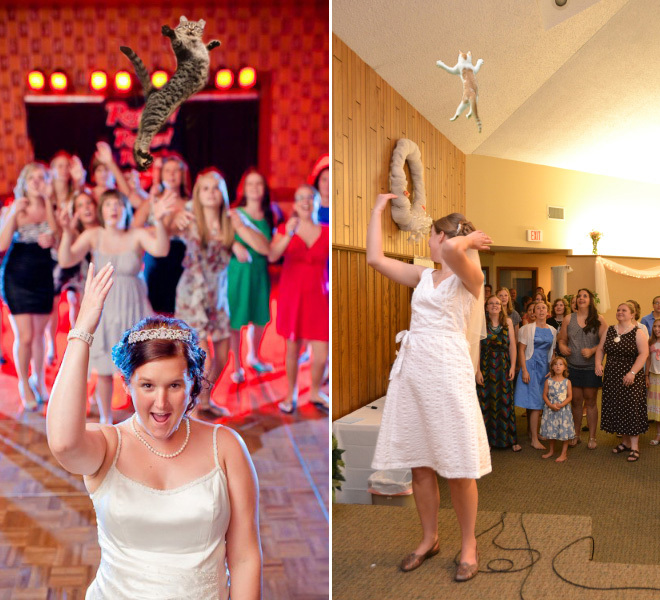 Catching a bouquet of flowers is cool - but have you ever tried catching a cat? 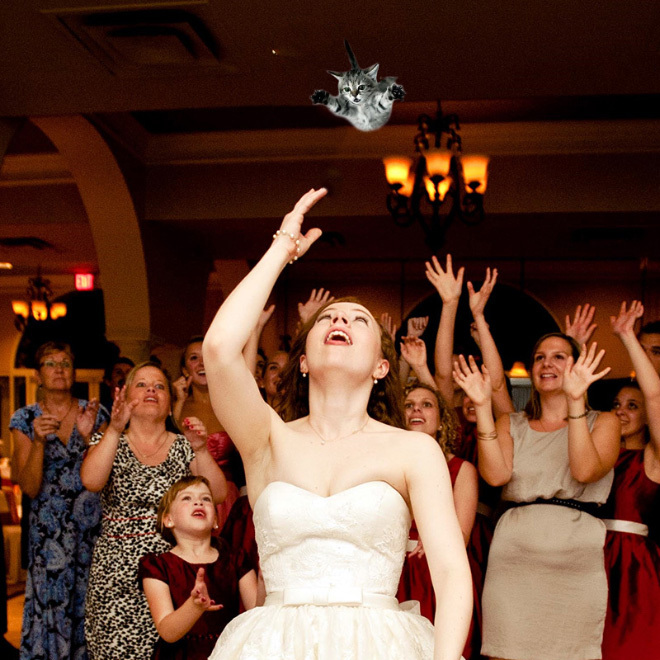 Imagine seeing that at a wedding... the bride lines up to toss her bouquet with a crowd of ladies behind her. 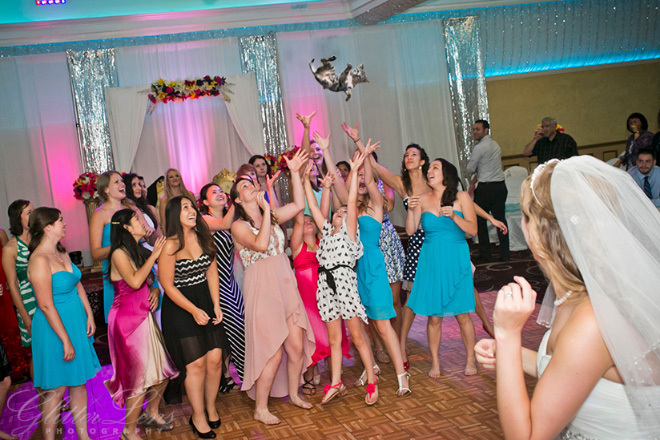 Everyone is jostling for position. 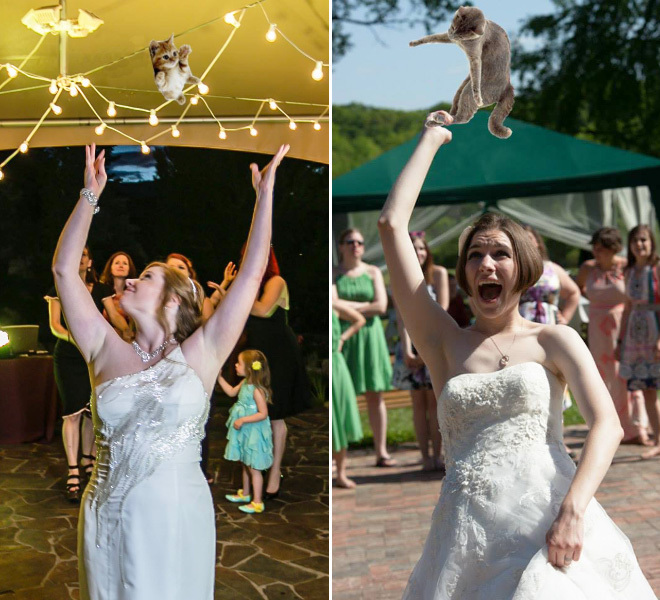 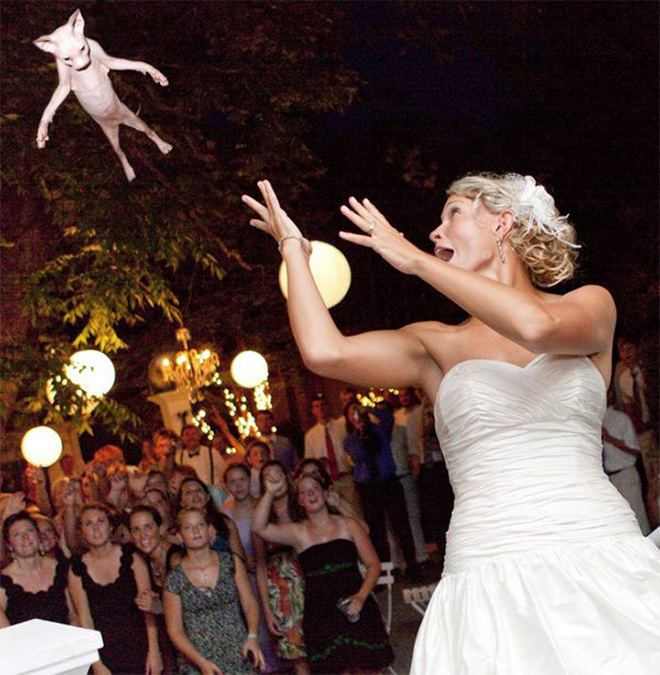 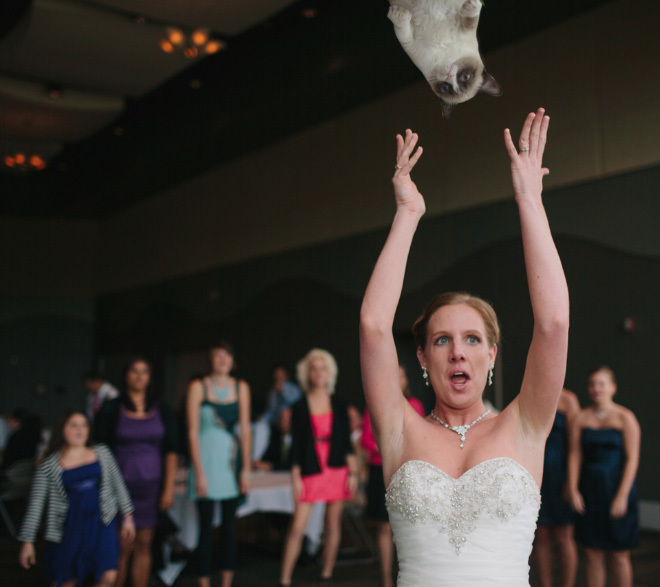 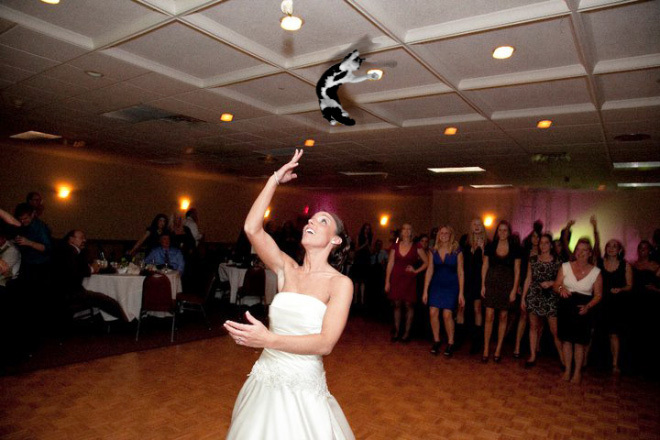 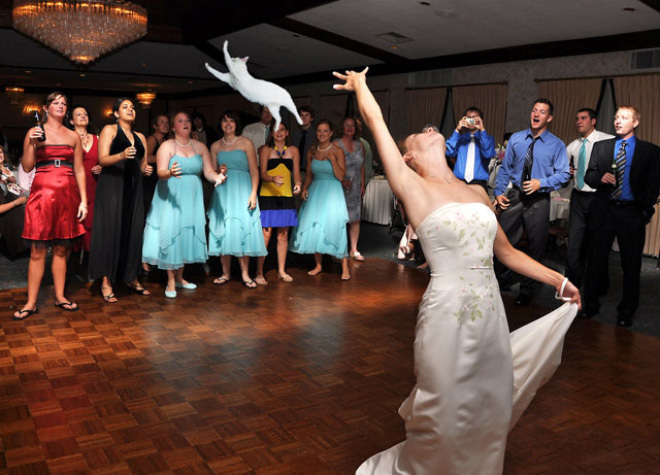 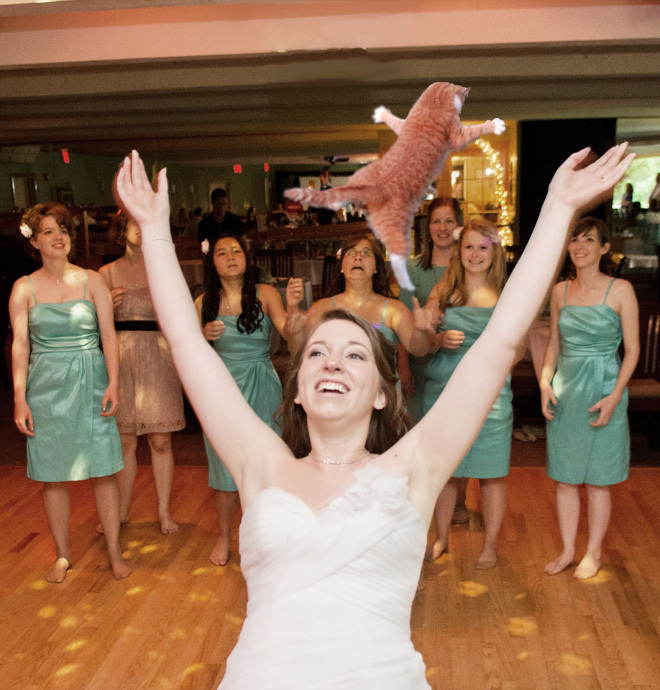 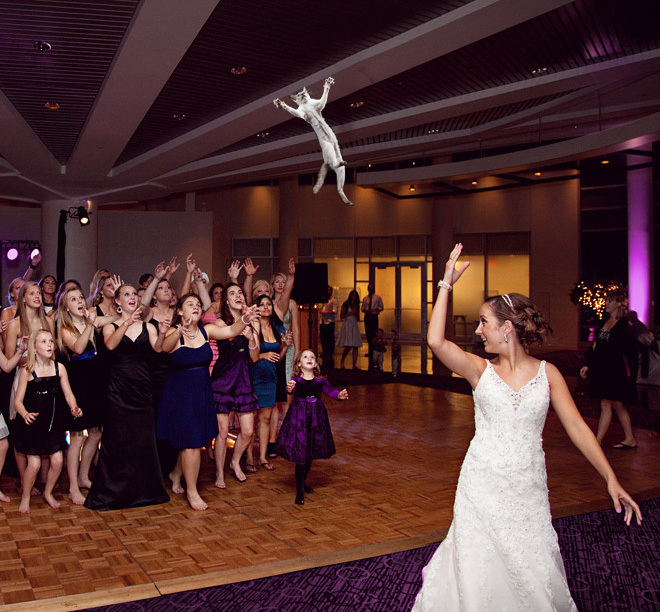 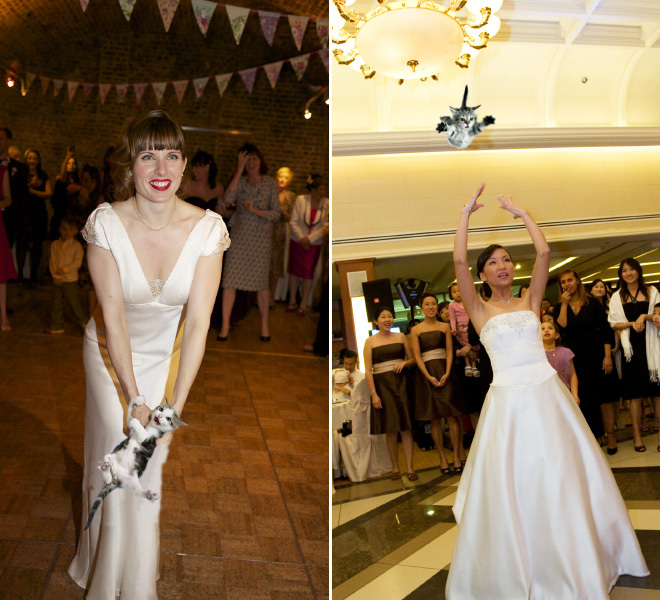 The bride reaches down and heaves her arms up over her head, releasing the bouquet into the air ready to be caught - but instead of a bouquet - it's a cat! 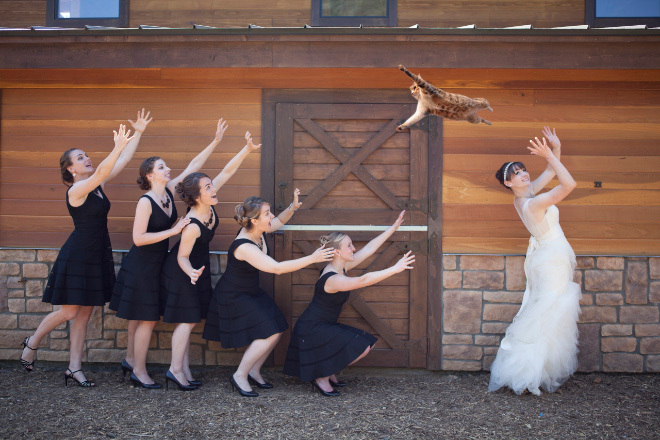 Paws out and claws out! 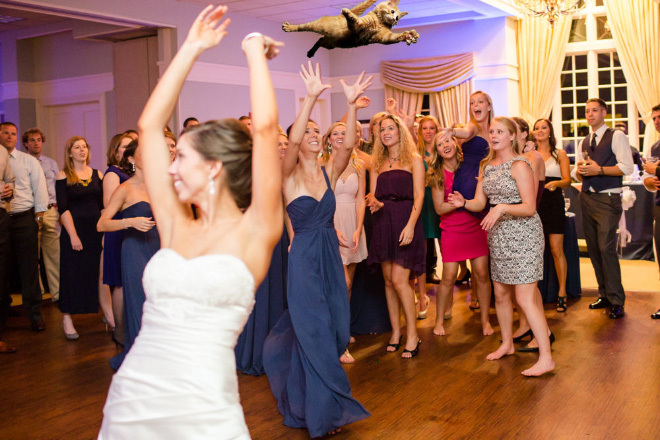 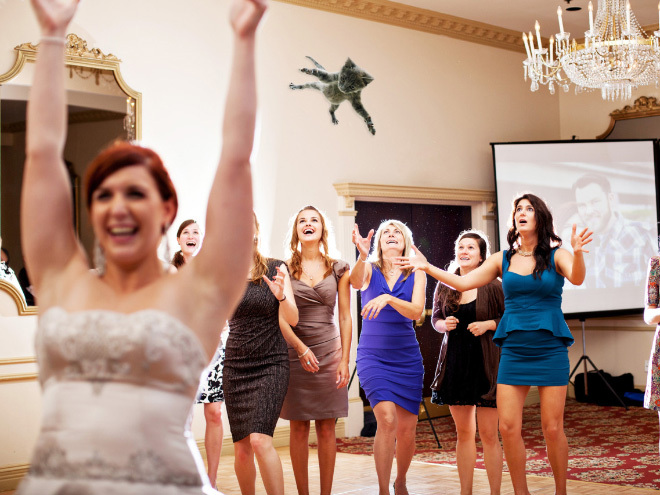 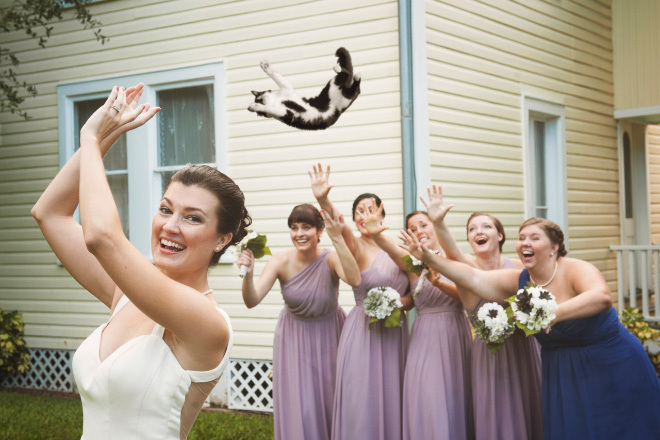 Somebody decided to replace the bouquets in wedding photos with pictures of cats and we can't stop laughing.